"This picture (1927) is of the old Chester Municipal Authority building. and DELCORA then moved into the building. The building no longer stands, as DELCORA erected a new building in 1999." 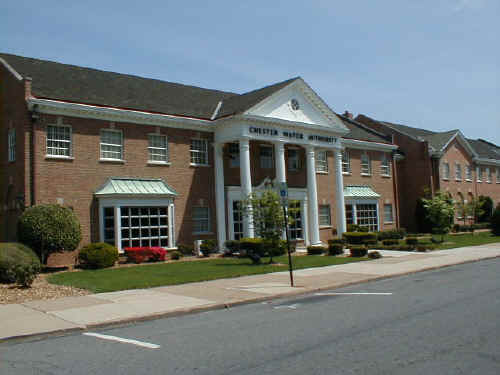 The current Chester Water Authority Building, SE corner of 5th & Welsh St. 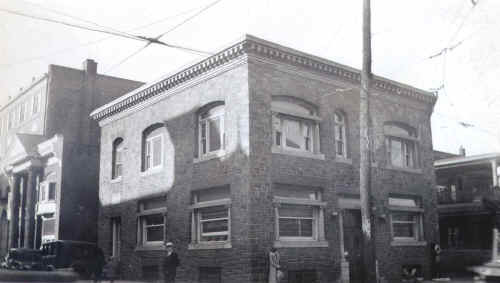 In 1978 the Chester Water Authority erected a plaque and the original corner stones of these buildings in their parking lot. April 27, 2002 Photo © John A. Bullock III. Click here to visit the Chester Water Authority web site.